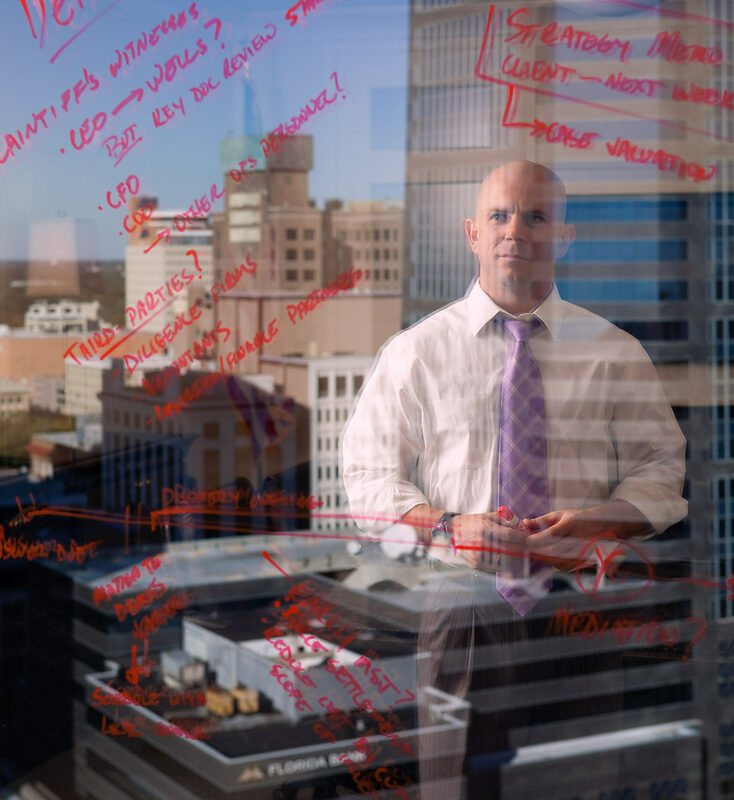 Bill Adams is an attorney with Gunster Law Firm and is seen in the reflection of his office window in Jacksonville Florida. This campaign was shot for Michael Del Gigante of MDG advertising. Photo by corporate photographer John Lair of Miami Beach Florida.